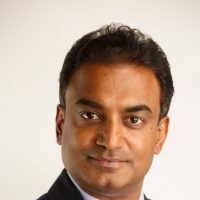 Ravi has 28 years of extensive experience in Europe and the Middle East in the hospitality industry, executing multiple start-ups, creating new concepts and leading multi-brand operations and has spearheaded 24 food & beverage brands, turned around loss making businesses, restructured acquired businesses and sustained success through new business model innovation. Ravi currently leads Liwa Minor based in UAE and operates The Coffee Club for the MENA region, an All Day Dining Café from Australia with 18 outlets in operation in UAE and one each to open in KSA and Qatar in 2018. Since joining in August 2016, Ravi has set the strategic direction for the MENA region for The Coffee Club brand with a steadfast and robust roll-out plan of 100+ outlets to be opened in the Middle East in the next five years along with entry to five new markets. Ravi is also working on expanding the company’s portfolio with plans to make an acquisition of an existing F&B concept and franchise an International F&B brand as part of its growth strategy. Ravi graduated with a GMP from Harvard Business School, USA and also holds a MBA from University of Bradford, UK, and a Diploma in Hotel Management from Les Roches, Switzerland.